I didn’t start out as a wildlife photographer (or maybe I did, depending on your definition of “wildlife”). My first professional photography job, way back in 1996, was shooting rock bands in concert for Rolling Stone. I had bought my first “real” camera less than a year earlier. When they called me out of the blue– a fluke, because I was the only photographer in Atlanta shooting the first show of Sonic Youth’s post-Lollapalooza tour– I thought it was a joke. But I shot, reviewed and interviewed dozens of artists for them over the next two years, ultimately helping to launch my career as a full-time freelancer. In retrospect, rock stars and wild animals had more similarities than I initially thought. Both are unpredictable, existing in wildly varying light conditions. With rock concerts, you have less than 10 minutes to get the photos you need; with animals, you often have less than 10 seconds before the action is over. Both require a mixture of patience, focus, an ability to anticipate action and react quickly. By the turn of the century I’d taken major press trips to Costa Rica and Denali National Park and had a life-changing experience in South Africa, beginning my gradual transition from pop culture critic to ecotourism-focused travel writer. I took a few photography courses and began honing my skills as a nature photographer. But the best practice I got came from actually working in the field. What follows are 10 of the most useful Wildlife Photography Tips we’ve picked up over the years, including examples of how they can help you improve your own wildlife photos. This first tip came from Jason Luoma, a driver/guide for our trip to Churchill, Manitoba back in 2012. 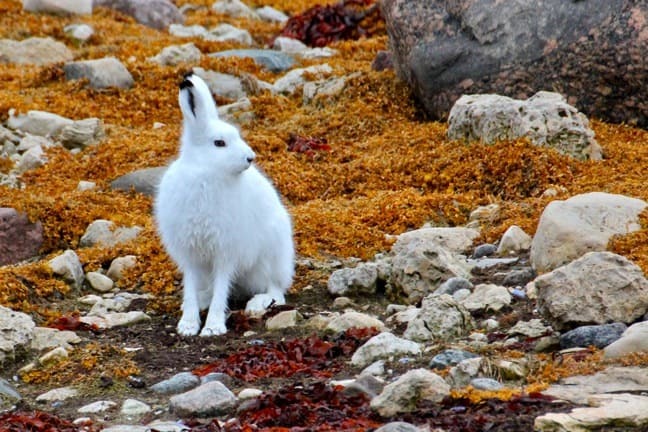 Having worked with nature photographers for years, Jason would spot wildlife such as Red Foxes, Arctic Hares and Snowy Owls on the tundra and immediately stop the Polar Rover so we could get a shot from a distance, before the animals had a chance to get spooked by the sound of the engine. After we’d gotten it, he’d restart the motor and move closer before cutting it off again. This gave us a chance to photograph the animals from different angles and distances, while also giving the animal a chance to get used to our presence. Eventually he would get us as close to the animal as he could without scaring them off, giving us a chance to do the close-up work most wildlife photographers crave. The lesson here is that it’s important to get a shot of some sort as quickly as possible, and then you can take your time working to get “the” shot. Because sometimes, if you wait for the perfect shot before clicking the shutter, you ultimately get no shot. This one goes in tandem with the tip above, and what I said in the intro about wildlife being unpredictable. Unlike rock stars, animals are not paid to put on a show for our amusement. They do not care about lighting, objects obstructing our view, or whether we are entertained by their actions (or, all too commonly, a complete lack thereof). 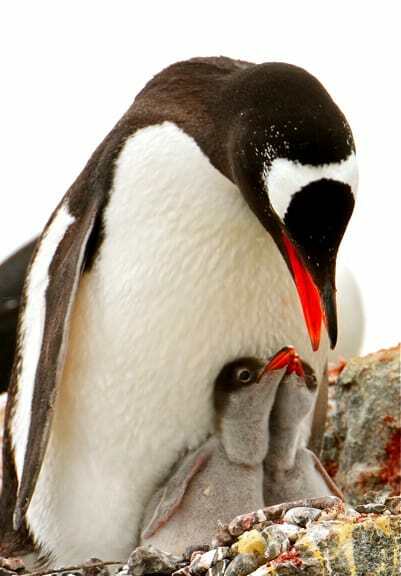 When we first came upon this trio of Gentoo Penguins in Antarctica, the twin babies were sound asleep and hidden from view at their mother’s feet. There was no shot. So we waited for more than a half hour, even as a storm swept in and pelted us with sleet. We were finally rewarded when the adorable duo sat up, and their mama bent down to feed them. Most people want to take a quick snapshot and move on to the next thing. But wildlife photography takes time, patience and persistence. If you want a great shot, be prepared to wait for it. One of the trickiest aspects of wildlife photography is getting close enough to get the shots you want, but not so close that you impact the animal’s behavior or draw negative attention in any way. 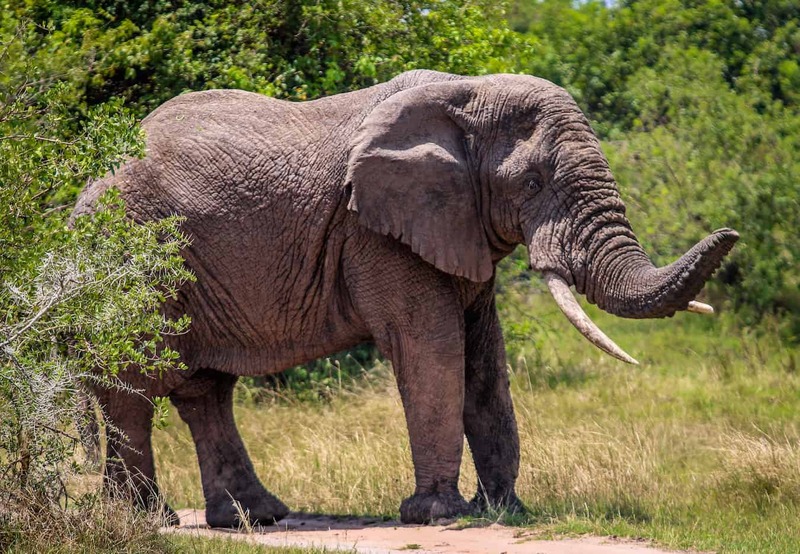 Knowing and observing the rules about keeping your distance from wildlife is not only crucial to being a responsible traveler, but with some species it could also be crucial to your survival. This concept has never been more clear than it was when we went trekking to see the endangered Mountain Gorillas of Rwanda last week. 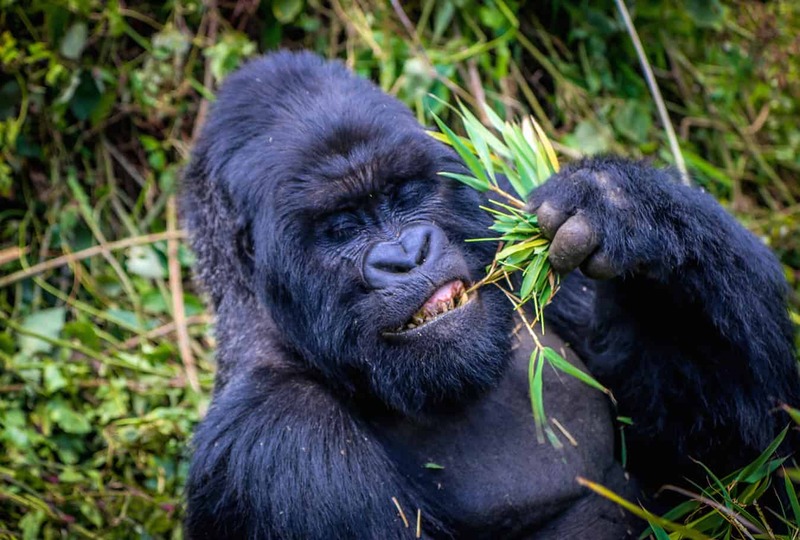 Officially, tourists are expected to keep a distance of around 20 feet from the gorillas at all times. But apparently those unpredictable animals didn’t get the memo. At one point I was photographing a baby Gorilla perfectly posed at the top of a bush, only to have an adult male come crashing through the trees and literally somersault onto the ground just a few feet from where I’d been standing. Later, while Mary & I were shooting the Silverback pictured above, a female came out of nowhere and brushed right past us before anybody even knew she was there. Never forget that you are a guest on their turf, and treat all wildlife with the respect they deserve. 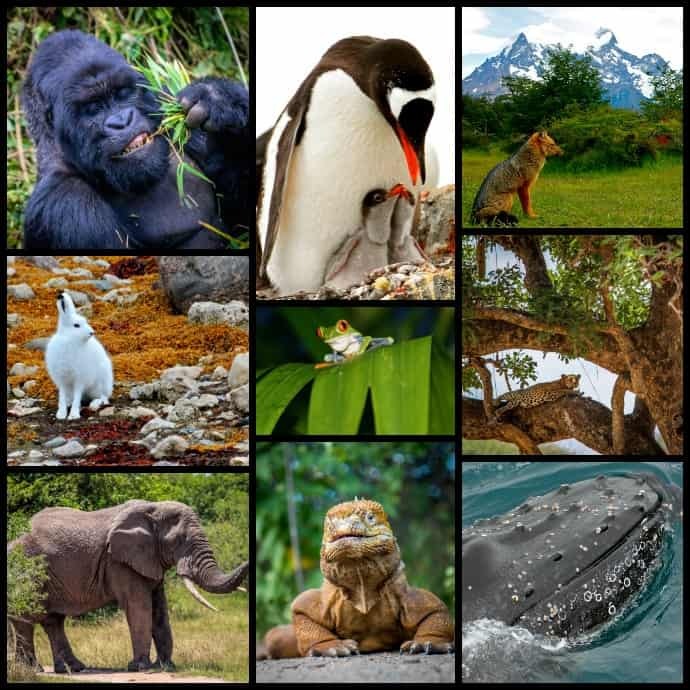 We’ve talked about the unpredictability of animals several times already, but learning about the behavior of the species you’re photographing can help you identify patterns and give you some chance to predict their actions. Because these moments we’re trying to capture are fleeting at best, being able to sense when they’re coming gives you more time to click the shutter when it does! For instance, when we first spotted the massive Bull Elephant pictured above in Rwanda’s Akagera National Park (one of only 120 or so in the park’s herd), he was hidden in trees about 100 yards from the road, giving us no clear shot. But just down the hill was a watering hole and verdant patch of Pennisetum purpureum (a.k.a. Elephant Grass), which we suspected would be difficult for him to resist. We drove down to a curve in the road and waited. Eventually the big guy lumbered through the brush to cross. As he raised his trunk to sniff the air in our direction, we had a perfect shot well worth waiting for. I wanted to rip my eyeballs out every time our Tanzania guide told me what a good camera we had after seeing our photos (as if skill had nothing to do with it). But the truth is that understanding the gear you need for specific circumstances and being prepared for those circumstances can make a HUGE difference in your results. For our African safari, we knew we’d be photographing wildlife in low-light situations such as jungles, shady trees, etc. So we invested in two f2.8 zoom lenses– a 17-55mm short range and a 70-200mm long range– as well as a 1.4X extender to give us a longer focal length. We also made our own bean bags to keep the cameras steady. Most importantly, we took time to practice with the new gear BEFORE we left, so that we were able to make adjustments very quickly in the moment. 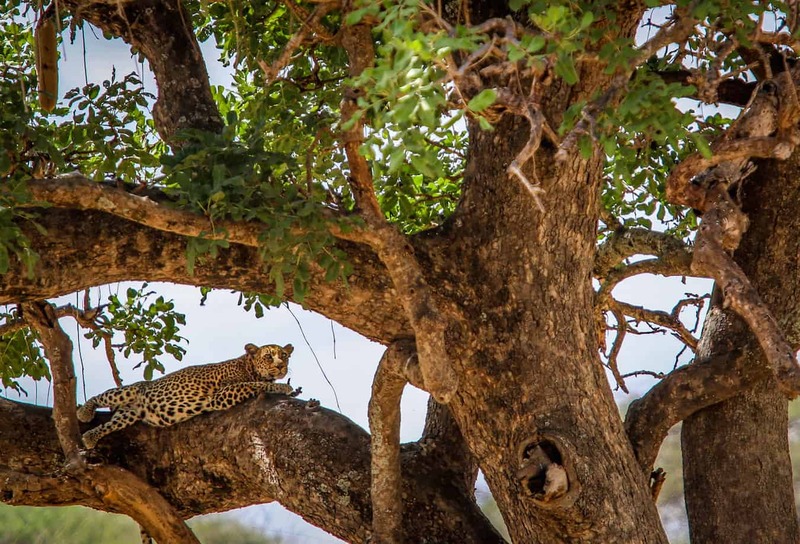 Leopards hunt at night and spend their days resting in trees. Of course, the fact that these Big Cats prefer shady spots made getting “the” shot extremely difficult, which is where tip #2 (Be Patient) came into play. We spent over an hour watching this female, waiting for the sunlight to emerge from behind the clouds and for her to lift her head up for all of 2-3 seconds. We would’ve never gotten this shot (taken from about 100 yards away) with our old gear, or if we didn’t know how to use the new gear to its full potential. One of the greatest skills any photographer can develop is their ability to see a shot before they even put their eye up to the viewfinder. Once you’ve taken a standard shot to make sure you have a usable image, then it’s time to get creative and explore the different possibilities your subject has to offer. Perspective means virtually everything in wildlife photography. Shooting from above can make even the most massive elephant look small. Shooting from eye level can establish a sense of intimacy and help the viewer see things from the animal’s perspective. Shooting from below can make your subject larger than life. Take time to play around with different angles and perspectives to see which ones help tell the story you want your photos to tell. 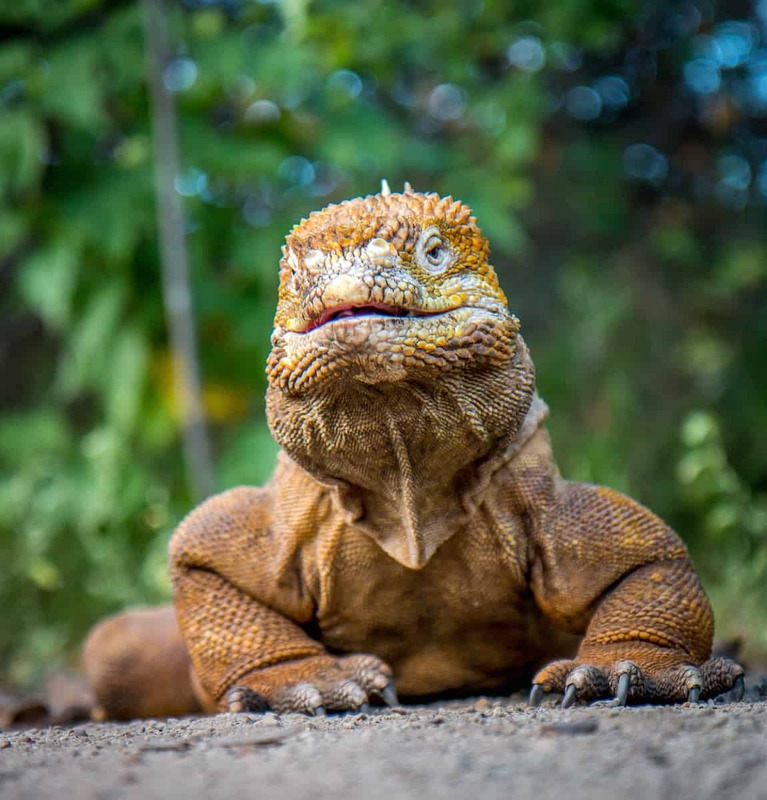 In my mind the Land Iguanas of the Galapagos Islands looked like miniature Godzillas, so I got down on my belly to make the one above look larger than life. Since most amateur photographers spend the bulk of their time photographing friends and family, our natural tendency when photographing wildlife is to lean on portraiture. Even after two decades of professional work, I usually go for the tight close-up shot first. But once I’ve got a good close-up shot, then it’s time to play. I’ll zoom out as a far as I can to show the animal in its surrounding landscape and give the viewer a sense of place. Or perhaps I’ll put my 90mm Macro lens on and zoom in even tighter to reveal details a wide angle zoom can’t capture, such as the feathers on a Magnificent Frigate’s inflated pouch or the open wound a poacher’s snare left on a Cape Buffalo’s neck. 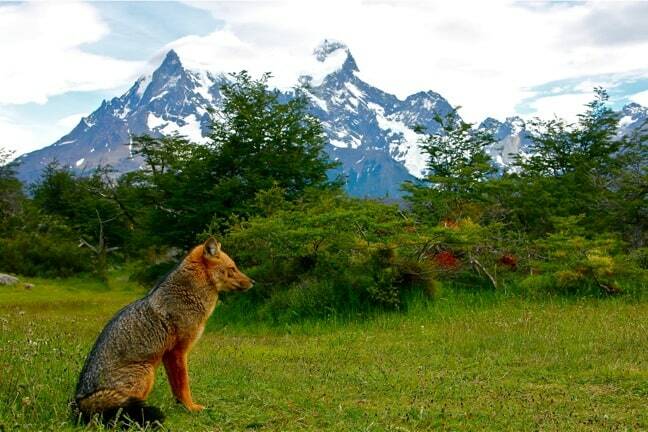 In the case of the photo above, the close-up I took of a gorgeous Red Fox in Patagonia wasn’t nearly as interesting until I pulled back to reveal the backdrop of Torres del Paine’s iconic peaks. Similar to the tip above: While a photo of one animal may be cool, a photo of two or more animals interacting with one another is even cooler. If you can get more than one species in the shot (such as a photo we shot in Tanzania’s Ngorongoro Crater of a Hyena chilling by a waterhole as Zebras, Warthogs and Impala grazed cautiously behind him), even better! 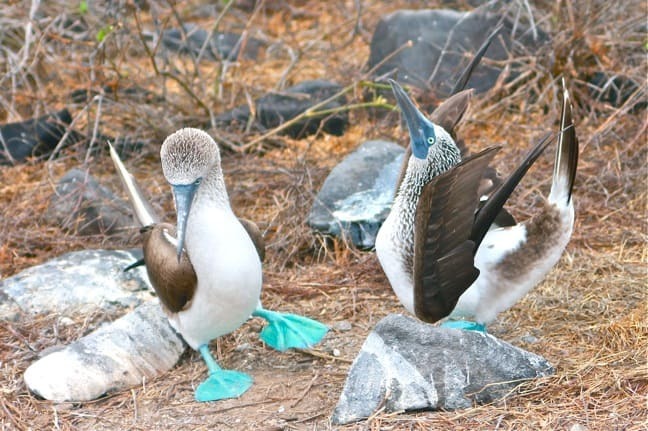 The photo above, which Mary took of a pair of Blue Footed Boobies doing their distinctive mating dance in the Galapagos Islands, is a perfect example of a photo that wouldn’t be nearly as interesting if it was merely a closeup of one of the birds. Back to the unpredictability of wildlife thing… You never know when an incredible shot will present itself, so it’s best to have your camera with you at all times when you travel. 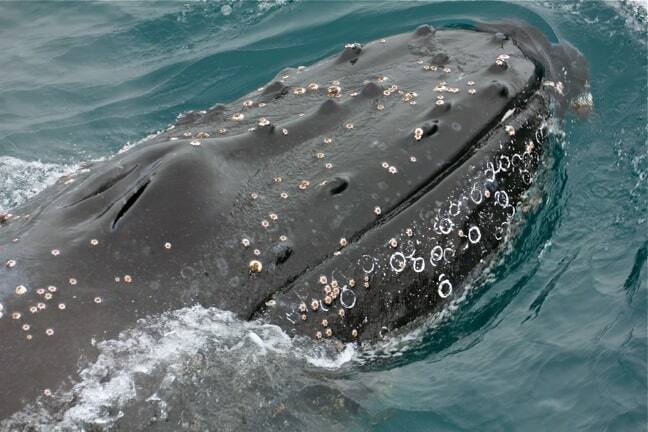 Mary was getting dressed for an excursion on our 2012 Antarctica cruise when our Expedition Leader came over the loudspeaker to alert passengers that there was a pod of Humpback Whales swimming right by our ship. Fortunately I was on the top deck with a 500mm lens on the camera, and I sprinted to the edge just in time to catch this whale surfacing with his face turned up towards me. There was no time to adjust settings, so I shot in Automatic mode: I was the only one among the 50+ passengers who got this shot! We’ve just come back from East Africa, where everyone is all about seeing/photographing “the Big 5.” But the truth is that smaller animals are just as interesting, if not more so. Take the time to truly immerse yourself in your surroundings, and savor the little things that make our natural world so fascinating. 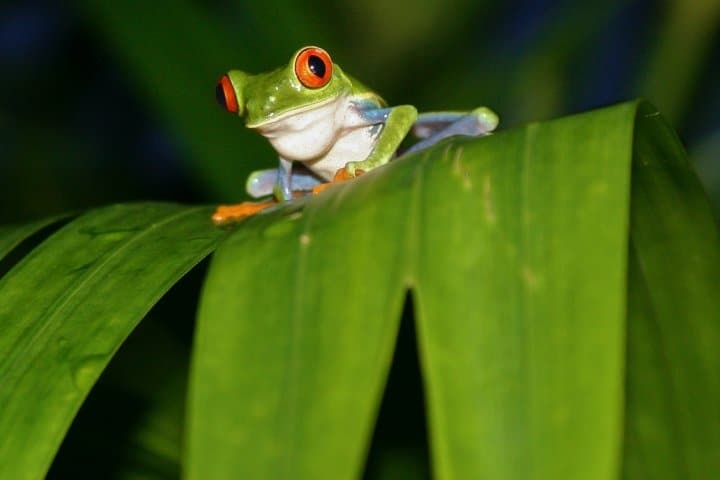 Whether it’s a Chameleon hidden among the bushes at the base of a mountain in Rwanda, a colorful Caterpillar spotted on a log in the Amazon Rainforest, or a Red Eyed Tree Frog next to a swimming pool in Costa Rica, it’s a gift to be able to recognize the beauty in the little things most people tend to ignore.